Butter Pecan Czech Mates pressed glass large two hole dagger beads! 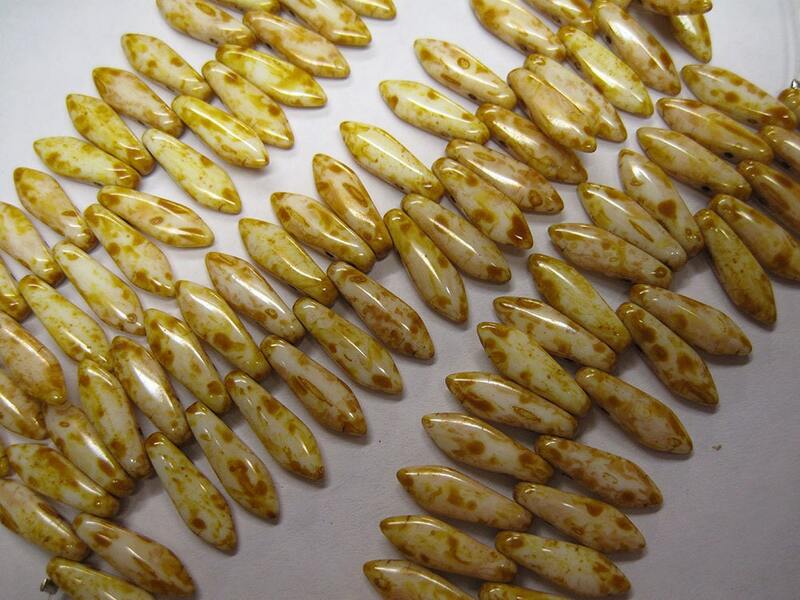 Beads are 16x5mm. There are 36 beads per strand. Dark Beige color with picasso finish gives these the look of butter pecan! You can find lots of different shapes of Czech glass beads, fire polished crystals in many colors and more in the Czech Beads and Crystals section of my shop - https://www.etsy.com/shop/southpassbeads?section_id=6077842.